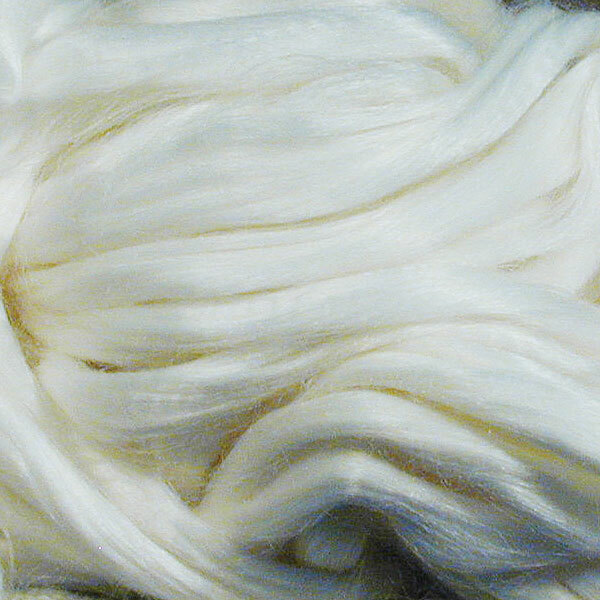 It's our final month of Spinning Spring Training, and this month's suggested challenges are perfect for summer: Non-wool fibers such as cotton, silk, bamboo, and flax are wonderful fiber choices for warmer temperatures, although they can sometimes be a challenge when it comes to handspinning. We have discussed cotton in-depth in our previous posts here and here on this blog, as well as silk (both here and here), so today we would like to focus our discussion on bamboo and flax. Bamboo is a fiber that seems to be turning up everywhere these days! 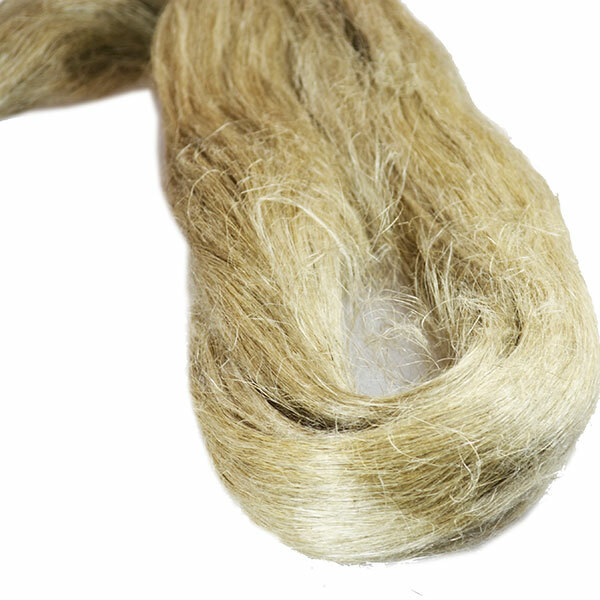 Bamboo fiber is a popular addition to many commercially-available yarns, and it is made from the cellulose found in the bamboo stalk. The fibers are unique in that they are naturally antibacterial, a property which can withstand multiple washings. Bamboo fiber also produces an extremely breathable fabric, as well as provides excellent moisture absorption thanks to the microscopic holes which comprise its cell structure. Spinning bamboo fiber can be a bit tricky, however! Since there are no scales (as you would find on protein fibers), the fibers are rather slippery. Not only that, the fibers are also quite short! Needless to say, spinning a woolen yarn from bamboo fiber isn't recommended. Rather, a worsted or semi-worsted yarn with plenty of twist will be the simplest approach. Most bamboo fibers will be similar to silk when it comes to spinning them up; there are plenty of great guidelines here in the KnittySpin archives if you would like to explore spinning with bamboo more in-depth! Flax is also in the cellulose family of fibers and has a long and storied history of cultivation (for example, flax has been found in predynastic Egyptian cloth). There are many varieties which are used to produce products ranging from paper, paint, dietary supplements, medicine, and - of course! - fibers and textiles. Flax is incredibly durable and easy-care; machine washing only makes it softer! It takes dye beautifully and has its own evaporative cooling system which wicks moisture away from the skin. The one downside is that it can be difficult to work with, both in handspinning and beyond. There are 3 types of flax fibers you can expect to come across in your fiber journey: line flax, tow and twice-retted flax. Line flax is a longer fiber (usually more than 10 inches in length); tow refers to the shorter fibers which are a byproduct of producing line flax, and twice-retted flax is a relatively new process which produces shorter, finer fibers approximately 4-5 inches in length. Spinning with flax is not recommended for beginning spinners, but many spinners (regardless of their skill level) are intimidated at the very thought of working with it! First, processing the plant into a spinnable fiber is quite a bit of work if you don't plan on using a commercially-prepared top. Secondly, most spinners are told that spinning flax requires the use of the distaff, which can certainly sound a bit scary to the uninitiated. However, most prepared tops do not require the use of a distaff, and this informative article from the KnittySpin archives gives plenty of sage advice for tackling flax-spinning from the strick without the use of this tool. We look forward to seeing which non-sheep fibers you explore this month in our June Spring Training thread on Ravelry!